Laser engraved exterior grade 316 stainless steel (marine grade) and 304 stainless steel are best suited for the harsh conditions of mining installations. 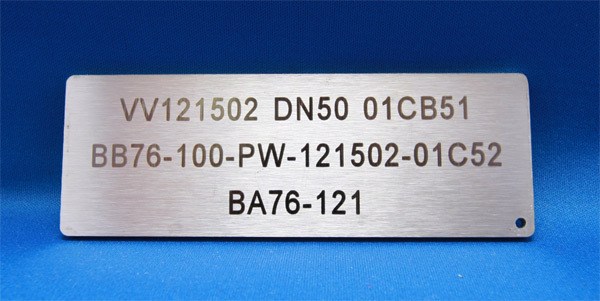 Stainless steel tags, plates and labels are laser engraved by Yag and Fibre lasers to produce an indelible black engravings which are easily read and highly visible. The mark doesn’t fades as it is part of the stainless steel. Lasermark Engraving supplies thousands of tags and plates yearly to mining companies Australia wide.